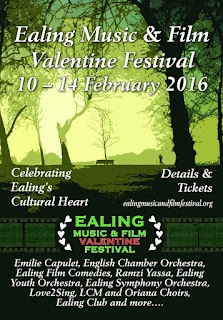 Ealing Music and Film Valentine Festival takes place over the Valentine's Day weekend from 10 to 14 February 2016, and presents a mix of concerts and films at venues in and around Ealin. The English Chamber Orchestra, conducted by Julian Gallant, perform a Mozart piano concert with the Egyptian soloist Ramzi Yassa, plus music Barber, Dvorak and David Osbon, and members of the orchestra also give a free lunchtime concert with Emilie Capulet performing Schubert's Trout Quintet. Members of the English Chamber Orchestra will also be joining with Ealing Youth Orchestra, the London Oriana Choir and LCM chorus to perform Walton's Belshazzar's Feast plus music by Sibelius and Mussorgsky, conducted by Leon Gee with baritone Toby Stafford-Allen. Young musicians from the London College of Music will be performing chamber music by Elgar and Prokofiev. The Ealing Symphony Orchestra conducted by John Gibbons will be giving an evening of semi-stage operatic excerpts with Natasha Jouhl, Telman Guzhevsy and Keel Watson performing music by Mascagni and Puccini. There is also late night rock and blues at Ealing Club and a community choral concert. Films include Bride and Predjudice, The Lavender Hill Mob, and The Proud Valley. 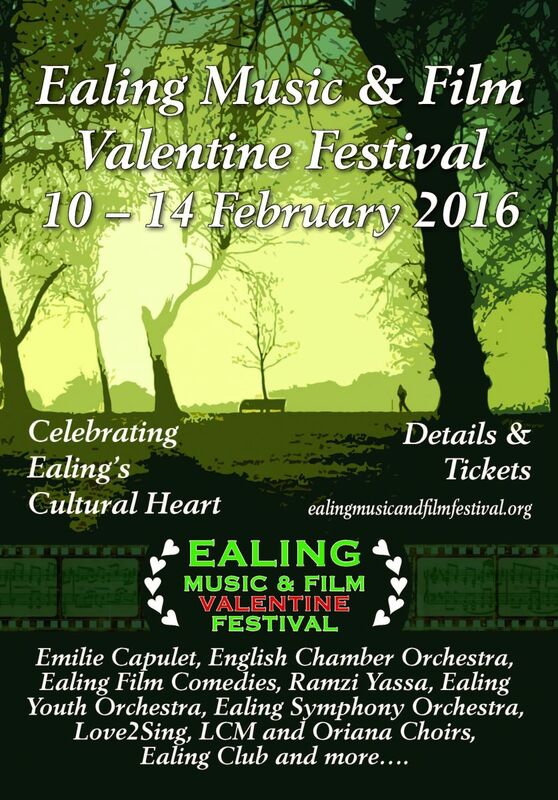 Full information from the Ealing Music and Film Festival website.